Posted on January 8, 2019 at 9:05 am. Do you know which HVAC system is ideal for your basement and your attic? Are you worrying about how your HVAC system will impact your allergies? Are you interested in getting an energy efficient HVAC system? Do you worry about the size of the HVAC system? The basement is generally renowned for being the coldest room in the entire home, and apart from that they have a lot of space. This is why most people prefer having their HVAC system in the basement. To ensure proper air conditioner installation in Cleveland for your home, you must first test the comfort levels of your basement. You should use a thermometer that can read humidity and temperature for this task. You must also consider the type of basement. Most basements have exits and windows, while others don’t. They play a role in humidity and temperature in the basement. If the basement doesn’t have any exits, the temperature is going to be at a comfortable level. That is mainly because the basement temperature will not fluctuate a lot. Your decision for air conditioner installation in Cleveland will depend on the humidity and temperature levels in the basement. You can choose to install a different unit or simply expand your current one into the basement by using registers. You may also require new ductwork, and you can choose an HVAC system with a dehumidifier if the humidity level isn’t ideal. If you are living in a place that is prone to flooding, you should consider the attic instead of the basement for air conditioner installation in Cleveland. The installation in the attic is going to be different than installing the HVAC system anywhere else. The size of the attic will also be taken into consideration because an air conditioning system can be installed by being suspended from the floor. To choose the right HVAC system for the attic, you must select a shock absorber with heavy rubber padding so that the system can be suspended above the ceiling. You should also consider a drip overflow pan, since the HVAC system in the attic should be one that doesn’t leak. You should also have proper drain systems in the attic and ensure that the drain faces downwards and is separate from walkways. If the attic doesn’t have enough space, then your attic isn’t right for air conditioner installation in Cleveland. If you live with allergies or any other respiratory medical condition, it is imperative that you choose the right kind of air conditioner installation in Cleveland. Dust particles can commonly get into air heating systems and this is noticeable when the system is turned on at the start of the season. Therefore, people suffering from asthma or allergies should opt for an HVAC system with high filtration levels. High filtration ensures that the air quality is well-maintained and the air circulating in and around your home is going to keep your family healthy. If the HVAC system is above 10 years old and isn’t offering proper comfort to your family, then you should consider getting an energy-efficient air conditioner installation in Cleveland. This will provide your family with a win-win situation; environmentally friendly while also bringing down the costs of your energy bill as well. The size of your HVAC unit should also be considered when you are getting air conditioner installation in Cleveland. Ensuring that the HVAC system selected is going to fit properly in the home will not only save energy but will also keep the energy bill low. 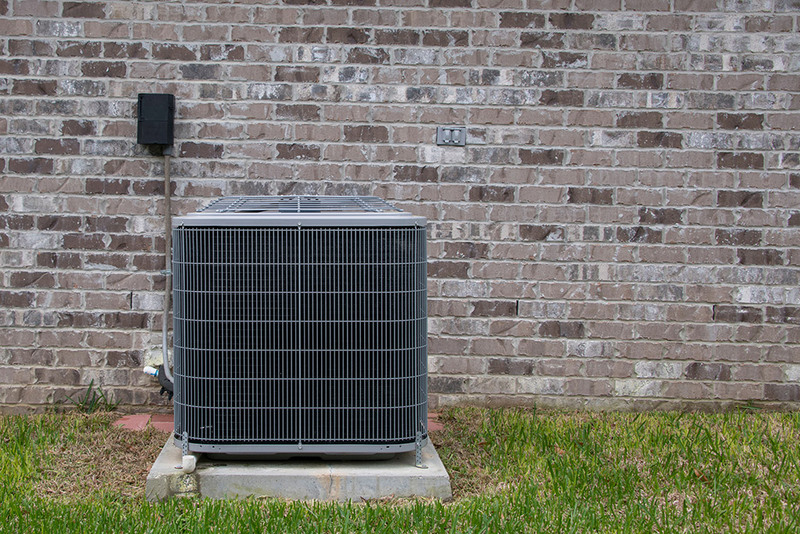 If you’re not sure about the size of the HVAC unit you are getting for your home, you should ask a professional air conditioner installation service in Cleveland. This is an important step because if the size of the home doesn’t match with the size of the HVAC system, you may be left feeling uncomfortable in the home. A large HVAC unit will tire out quickly, because having a large heating capacity will mean that the system is turning on and off repeatedly. This will decrease the overall efficiency of the HVAC unit. Homeowners living in larger spaces might get an HVAC system that’s too small for handling your heating and cooling requirements. Every new space has different needs and a split HVAC system isn’t going to solve that problem. That’s because it functions by taking the refrigerant from one system and moving it to the other. When you’re deciding your options for air conditioner installation in Cleveland, you should first look at your own personal conditions. That will include the people living in your home, the size of the home, your budget, the area where you live, and more. These factors tend to change for all individuals and families. That’s why you should consider them before choosing an HVAC system is important. You will also learn more about your options and manage to select one that suits your family in the best manner. The lifespan of the HVAC system is long, so you must choose the right one by getting air conditioner installation in Cleveland from HVAC experts like Metro Plumbing, Heating and Air. We have been serving the Cleveland area for several years, so call now at (423) 616-1025 for air conditioner installation in Cleveland.